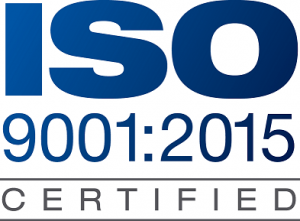 Hewshott International is delighted to announce that the company has recently passed the annual ISO9001 audit and is awarded the new ISO9001:2015 certificate. 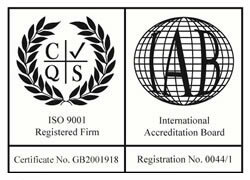 Hewshott was first assessed under ISO9001:2000 in 2005 and passed first time. Since then the company has maintained the ISO9001 registration as the standards have been refined over the years. The company has passed the rigorous assessments that are undertaken to achieve the 2008 standard, and in September 2018, the stringent 2015 assessment was undertaken. Hewshott has a strong commitment to quality control and this was identified very soon after the company’s formation in 2002. ISO 9001 standards are method of formalising this under an international quality control process, and applies to every piece of work we undertake. Although it was initially assessed on our AV work in 2005, we have adapted it and been assessed for both acoustics and for IT, the three disciplines that Hewshott provides worldwide. About us: Hewshott International is an award winning, independent consultancy firm specialising in audio visual, IT and acoustics across corporate, finance, education, health, government, FMCG and manufacturing. At any one time, the firm consults on over USD 50 million of technology projects and in excess of USD 5 billion in building contracts for acoustics worldwide from 6 offices in the UK, USA, Singapore, Hong Kong, Australia and India. Hewshott International is an ISO9001:2015 registered consultancy firm.